SSL Event - Take a Look on The SSL Store™ Event Schedule. Follow Us. Around the Globe. Every year, The SSL Store™ attends numerous trade shows and other hosting industry events across the world. Whether we're sponsoring, exhibiting, or presenting, we love interacting with our customers, resellers, and affiliates and exploring new opportunities with businesses from every corner of the online community. On this page, you will be able to see what events we will be attending next, along with events we have previously attended. Be sure and reach out to us if you're in the area or are planning to attend, as we have special partnerships with these organizations and can get you a deeply discounted rate or even allow you to attend for FREE! Description: GuidePoint Security LLC provides innovative and valuable cybersecurity solutions and expertise that enable organizations to successfully achieve their missions. 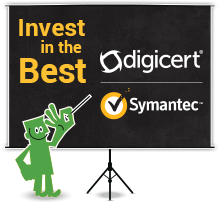 They help clients recognize threats, understand solutions and mitigate risks in their evolving IT environments. The SSL Store™ is excited to be a sponsor at this year's 4th Annual GuidePoint Security Charity Golf Invitational, a fun event that brings vendors and customers together for a little friendly competition. Meet Us: Planning to attend? Let's meet to chat about what's coming, what's on your mind and what a great drive you had on the sixth hole. Simply drop us an email at (resellers@thesslstore.com) today. Description: This fifth annual conference has become the go-go conference for the Sunshine State’s cybersecurity community. Catch 40 exhibitors, including some cool interactive experiences, plenty of networking opportunities and must-see speakers. The SSL Store™ is proud to be a Silver Sponsor this year. Meet Us: Come by and see us at Booth #29. We'd be happy to chat about what's coming and what's on your mind. Claim your Discount: We usually have special promo codes available exclusively to our customers. To inquire about any available promo codes, simply email us today (resellers@thesslstore.com). Description: Spanning a total of two days, the cPanel Conference immerses attendees with plenty of education workshops, networking events, and invaluable opportunities to talk to the cPanel Team directly. This year's event is no different than the years prior, with a total of 30 sessions it's clear that this is the event to attend if you are using cPanel and/or WHMCS. Meet Us: The SSL Store's Team would love to meet any attendees! If you are interested in meeting with our team, please drop us an email (resellers@thesslstore.com) today and we'll get it all setup. Not too sure of the event? No worries, you can learn more about the event at cPanel's Conference website by clicking here (https://conference.cpanel.com/). Description: WHD.usa is the main industry event in North America. It is a two day celebration of the technology and incredible potential of the internet featuring inspiring keynotes from industry leaders, sessions on the latest business practices and trends, an exhibition hall featuring cutting edge technologies and services, and fun networking events. Our goal is to provide content and experiences that are fun and valuable to the entire industry. Not too sure of the event? No worries, you can learn more about the event at WHD’s Conference website by clicking here (http://worldhostingdays.com/usa/). Description: Government of Gujarat, as part of its journey towards sustainable long-term growth and inclusive development is organizing the 8th edition of the Vibrant Gujarat Global Summit from the 10th to 13th of January 2017 at Mahatma Mandir, Gandhinagar. The central focus of the 8th edition of the Vibrant Gujarat Global Summit is "Sustainable Economic and Social Development". Meet Us: To arrange a meeting with our Channel Manager, please email us today and we'll get it all set up. 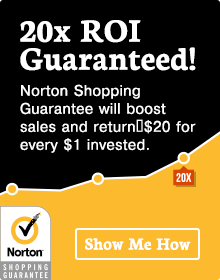 Claim your Discount: We usually have special promo codes available exclusively to our customers. 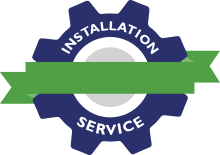 To inquire about any available promo codes, simply email us today. To visit the website for Vibrant Gujarat 2017, please click here. Description: The three tenants of HostingCon Global are "network, learn and grow." This can’t-miss event certainly allows you to do all three if you’re a hosting/cloud provider, MSP, VAR, ISV, or any other web-based business. The best and brightest from the industry are all gathering in New Orleans to share idea, discuss the latest industry trends, and most importantly – conduct some business! All while taking in the sights and sounds of Bourbon Street. What more could you ask for?! Meet Us: To arrange a meeting with our EVP of Strategic Partnerships and/or Channel Manager, please email us today and we'll get it all set up. 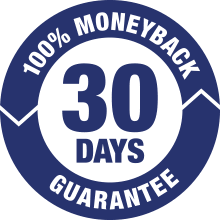 Claim your Discount: We usually have special promo codes available exclusively to our customers and partners. To inquire about any available promo codes, simply email us today. To visit the website for HostingCon Global 2016, please click here. Description: The Internet Retailer Conference + Exhibition (IRCE) provides attendees with an exceptional agenda full of can’t-miss content, must-see speakers, and an exhibit hall chalk-full the latest and greatest ecommerce solutions providers in the industry. This event is a must for all companies that operate an ecommerce business and takes place in the Windy City, Chicago, Illinois – at McCormick Place West. At the show, you will discover the latest trends in online commerce, mingle with top-level industry executives, and gain an edge over your competition. Meet Us: To arrange a meeting with our EVP of Strategic Partnerships, please email us today and we'll get it all set up. Claim your Discount: We do not have any available discount passes for this show. To visit the website for Internet Retailer Conference + Exhibition, please click here. Description: After the success of WHD.usa last year, its inaugural, 2016 proves to be even better! Consider this – the sequel. But an Empire Strikes Back or Aliens sequel, not Transformers: Revenge of the Fallen. WHD provides first-rate, vender-neutral sessions and content for hosting and cloud specialists. Simply put, this is a can’t-miss event for hosting and cloud companies. Between the informative sessions and the network events, there's something for everyone. Meet Us: To arrange a meeting with our Channel Manager or EVP of Strategic Partnerships, please email us today and we'll get it all set up. To visit the website for WHD.usa 2016, please click here. Claim your Discount: WHIR Networking Events are free events – so go ahead and click the link below to register and join us! To visit the website for WHIR Networking Events, please click here. Description: WHD.global is, most of all, a first-rate technology conference that brings together top experts and insiders for high-value networking, educational discussions, and communal experiences. Over the past twelve years, WHD.global has become the largest and most attended event for the hosting and cloud services industry. And the success continues to grow every year. You simply can’t afford to miss this opportunity! To visit the website for WHD.global 2016, please click here. Description: cPanel is celebrating the 10th anniversary of their annual conference which brings together entrepreneurs, developers, hosting providers, and website owners for three immersive days of networking, educational workshops, discussions, and invaluable keynote sessions. This year's event features 24 total sessions and more than 30 exhibitors, most of which are leaders in the industry. If you're using cPanel or WHMCS in some fashion, this is a can't-miss event!. Claim your Discount: We have special promo codes available exclusively to our customers and partners. To claim your promo code, simply email us today. To visit the website for the cPanel Conference 2015, please click here. Description: HostingCon Global 2015 is the premier industry conference and trade show for hosting and cloud providers. Industry leaders from around the world will be in attendance to discuss the latest news, ideas and technology that is shaping the web. This is your opportunity to meet with existing business partners and network with potential new partners in a fun and educational atmosphere. Join your peers at the San Diego Convention Center in San Diego, California from July 27th through the 29th. Meet Us: To arrange a meeting with our Channel Manager or Executive Vice President of Strategic Partnerships, please email us today and we'll get it all set up. To visit the website for HostinCon Global, please click here. Description: The time has finally come for WHD to bring their renowned events to the USA! World Hosting Days is the perfect combination of information, business opportunities, and networking. At the conference, you can expect hosting pioneers, industry experts, informative breakout sessions, seminars, and multiple networking events with businesses just like yours! There is simply no better way to meet up with new and current business partners. Meet Us: To arrange a meeting with our Executive Vice President of Strategic Partnerships, please email us today and we'll get it all set up. Claim your Discount: We have special promo codes available exclusively to our customers and partners. To claim your promo code for one FREE night, a $129 value, simply email us today. To visit the website for HostingCon 2014, please click here. Description: Affiliate Management Days is a must-attend event for marketing managers or anyone else that is responsible for their company's affiliate marketing strategy, management, and operations. Whether you have an existing affiliate program or were thinking of launching one from the ground-up, AM Days offers you the opportunity to meet and learn from experts across the industry. Meet Us: To arrange a meeting with our Director of Brand & Affiliate Channel Marketing or our Channel Manager, please email us today and we'll get it all set up. Claim your Discount: Since we are not sponsoring this event, we do not have the ability to offer a discount. To visit the website for Affiliate Management Days, please click here. Description: WHD.global is the largest hosting event worldwide with more than 4,200 attendees from around the world taking part last year. This 3 day event features more than 100 exhibitors, presentations from industry masterminds, new product introductions, and more. It's the perfect opportunity to meet, network, and learn from some of the leading minds in the industry. Meet Us: To arrange a meeting with our CEO, EVP of Strategic Partnerships, or EU team, please email us today and we'll get it all set up. To visit the website for WHD.global, please click here. Description: This will be the first ever WHD event dedicated solely to the Japanese market! As all WHD events, WHD.japan is built on our concept of combining a conference, a fair trade and relaxing social networking elements. With well-known speakers on stage and much room for discussions on the latest products and trends, visitors get the chance to become part of a globally important IT market known for its process driven and thriving force. Meet Us:To arrange a meeting with our CEO or your dedicated account manager, please email us today and we'll get it all set up. To visit the website for WHD.japan, please click here. Description:cPanel Conference is an exciting opportunity to meet and network with both leading and new players in the hosting community. Attendees of this event will be able to take advantage of specialized technical classes, fantastic networking opportunities, and outstanding events! Meet Us: To arrange a meeting with our CEO or your dedicated account manager, please email us today and we'll get it all set up. To visit the website for the 2014 cPanel Conference, please click here. Description: HostingCon is the one of the most premier industry conferences and trade shows for all web hosting and cloud services providers. By attending HostingCon 2014, you will be able to meet the best and brightest from the industry and learn about the latest news, ideas and technology affecting the industry. This is your opportunity to meet and network in a fun and educational atmosphere. Also, HostingCon will be celebrating its TENTH Anniversary in 2014! Description: WHD.global 2013 featured more than 120 exhibitors and media partners, totallying more than 4800 visitors. It was the largest and most successful WHD event in their history. So, WHD.global 2014 is expected to again be a must-attend event for everyone involved in the international hosting scene, especially on its TENTH anniversary! 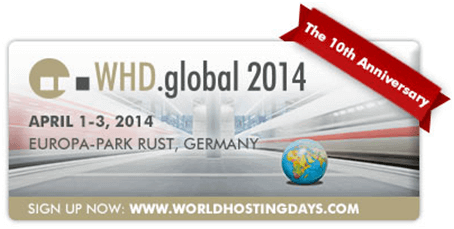 To visit the website for WHD.global 2014, please click here. Description: WHD.middleeast 2013 will be taking place in Dubai. As a gateway to the whole Middle Eastern market, Dubai offers excellent opportunities for all hosting and cloud companies and suppliers. Also, Dubai is one of the most captivating locations and also home to the Burj Khalifa, the world's tallest building. The Armani Hotel Dubai is one of the most extravagant hotels in the world and occupies 11 floors of the Burj Khalifa. Dubai is located in the middle of a free trade area. Therefore, it is considered to be a strategic base from which to address the markets of the former Soviet bloc, the Middle East, the Indian subcontinent, and Africa. Meet Us: To arrange a meeting with our CEO, please email us today and we'll get it all set up. Claim your Discount: Since we're a sponsor for this event, our customers, resellers, and affiliates get access to special discounted rates through our promo code. To attend this event FOR FREE, simply enter promo code MG1UZF89 during registration. To visit the website for WHD.middleeast 2013 and sign up FOR FREE, please click here. Description: WHD.local offers attendees the chance to address the local hosting communities of eight European IT hubs; always in the course of a concise one-day gathering that includes a trade fair, speaking slots and networking opportunities. All of these events take place in luxury hotels right in the city center. The WHD.local events are more compact and more intensive than their parent event, which means that they offer the opportunity to meet many top-level industry colleagues in a more personal atmosphere. Claim your Discount: Since we're a sponsor for this event, our customers, resellers, and affiliates get access to special discounted rates through our promo code. To attend this event FOR FREE, simply enter promo code LGVWH95 during registration. To visit the website for WHD.local 2013, please click here. Description: cPanel Conference is an exciting opportunity to meet and network with the leading and new players in the hosting community. Attendees of this event will be able to take advantage of specialized technical classes, fantastic networking opportunities, and outstanding events! To visit the website for cPanel Conference 2013 and register for this event, click here. Description: WHD.china is a valuable addition to this family of events, as fantastic new opportunities for the hosting industry can be found in the Chinese market. This can't-miss event is directed exclusively to Chinese hosting and cloud experts and key decision makers. To visit the website for WHD.china and register for this event, please click here. Description: After two successful events in Thailand, WHD.asia is moving to Singapore. Singapore is one of the most interesting states for the Asian web hosting market and this event will be the perfect opportunity to meet with important decision makers from the fast-growing Asian hosting and cloud industry. To visit the website for WHD.asia 2013, please click here. Description: WHD.latinamerica will be taking place in the lively metropolis of San Paulo, Brazil, a hub for many inventive ICT companies. Attendees of this exciting event are sure to explore new opportunities for their business, find new solutions, and meet with many important industry colleagues. To visit the website for WHD.latinamerica, please click here. Description: WHD.australia had more than 200 attendees in 2012, and an even bigger event is expected this year. This can't-miss event will feature the top-class decision makers from the Australian web hosting industry and many other neighboring markets. To visit the website for WHD.australia, please click here. Description: HostingCon 2013 is a must-attend event for a wide range of web hosting and cloud services professionals at every level, attracting more than 1,900 attendees from start-up companies to global giants. To visit the website for HostingCon 2013, please click here. Description: WHD.india is an opportunity for IT companies from across the spectrum to connect, share ideas, discuss partnerships, and learn about exciting new technologies in the emerging Indian hosting industry. To visit the website for WHD.india, please click here. Description: WHD.global is the largest hosting event worldwide with more than 4,200 attendees from Europe, America, and Asia. This 4 day event features more than 100 exhibitors, presentations from industry masterminds, new product introductions, and more. Description: Parallels Summit is designed for business leaders, technical and operational staff and developers at service providers, hosters, telcos, resellers, ISVs, and system integrators. To visit the website for Parallels Summit 2013, please click here.